Yesterday was pretty chilly around here, and I thought some nice fresh warm bread sounded like a good lazy Sunday snack. 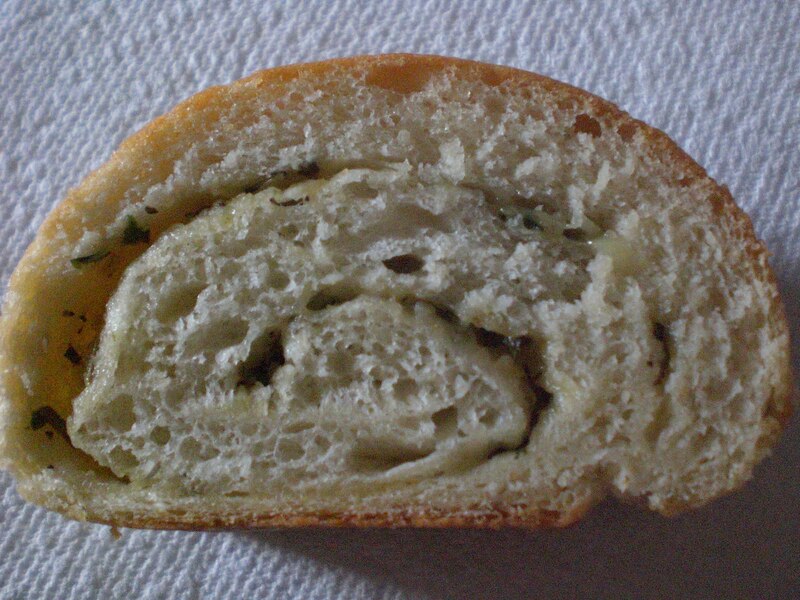 I found this recipe for Roasted Garlic and Herb bread and since it made two loaves I shared one with Patricia. I think this would be an excellent side with a pasta dish, though I’m having some tonight with a steak dinner. Remove the outer skin from the garlic, but do not peel or separate the cloves. Cut tops off the bulbs and brush with oil. Wrap each bulb in foil. Bake at 425 for about 30 min until softened. Cool for 10 min then squeeze garlic into a small bowl with the herbs. Dissolve yeast in warm water in a large mixing bowl. Add sugar, salt and 1 cup flour. Beat until smooth. Stir in enough remaining flour to form a soft dough. 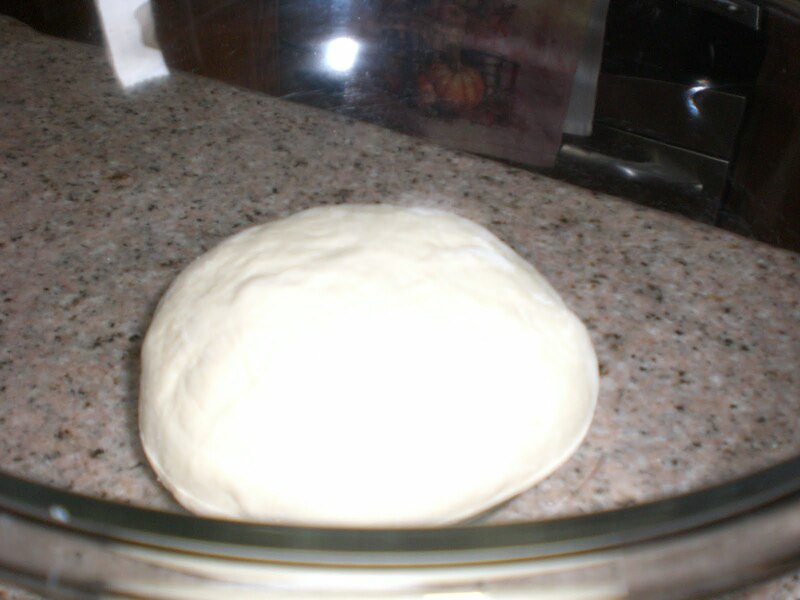 Turn onto a lightly floured surface, knead for 6-8 minutes until smooth and elastic. Place in bowl coated with cooking spray, turning once to coat the top. Cover and let the dough rise in a warm place until doubled, about 45 minutes. Punch dough down. Turn onto lightly floured surface, divide in half. Roll each portion into a rectangle about 8X10. 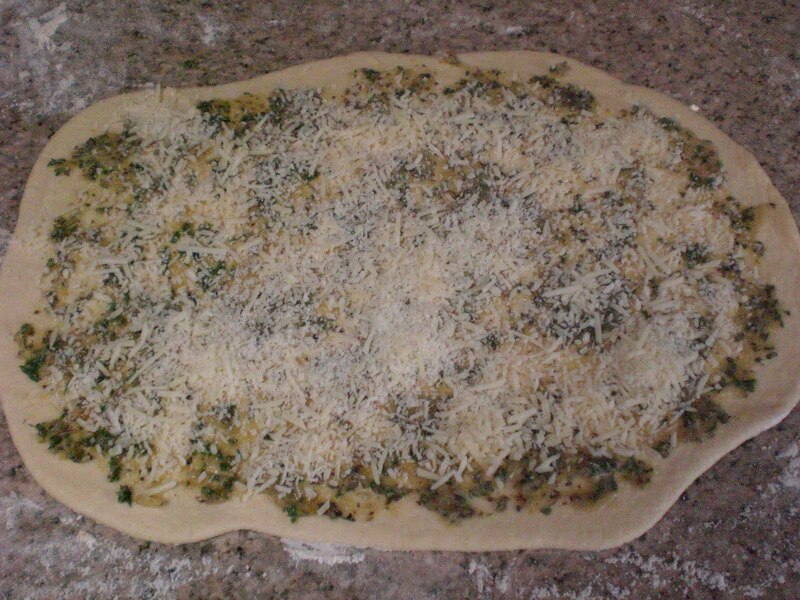 Spread each with half the garlic herb mixture and half the cheese. Roll up starting with the long side, pinching the ends and seam to seal. Coat a baking sheet with cooking spray. Place loaves seam side down on pan, tucking ends under. With a knife make slashes across the tops of the loaves. Cover and let rise until doubled, about 30 minutes. Bake at 375 for 20-25 minutes- until golden brown. Remove from pans and allow to cool. Brush the tops of the loaves with the melted butter. 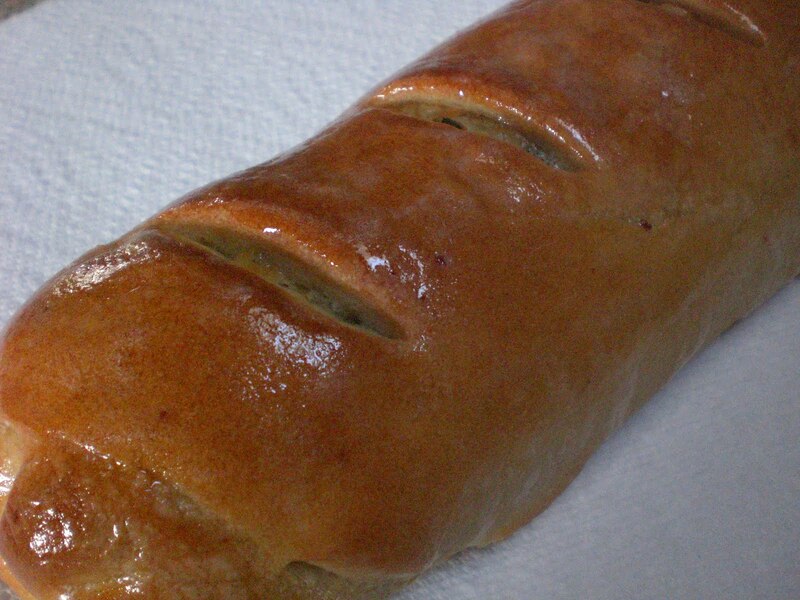 This was a fast and easy bread to make, I will definitely make it again. You could really use any combination of herbs here that you like, and I think I might try experimenting with the cheeses too.